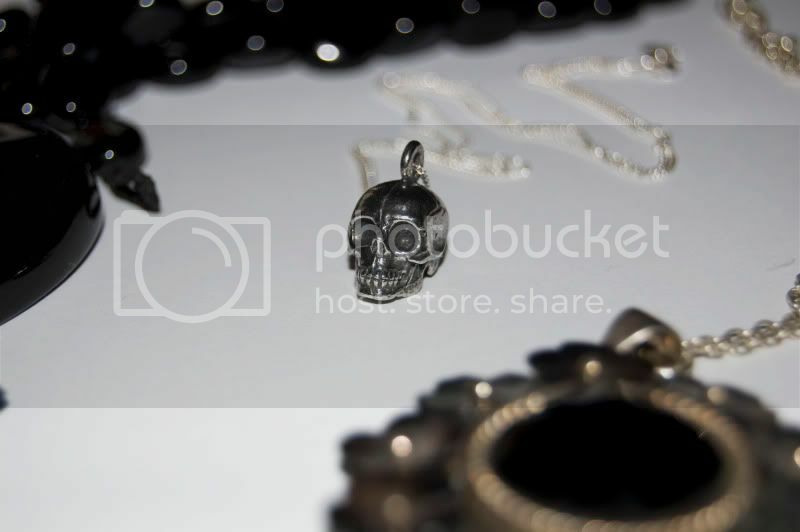 In the absence of someone to take my picture in my new skull pendant (and my unwillingness to set up a fake self-timer shot), I have compiled some of the jewellery I’ve been wearing lately, inspired by the recent trend for all things gothic. The heatwave in London at the moment however means that this has been temporarily abandoned in favour of all things angelic (read: white). 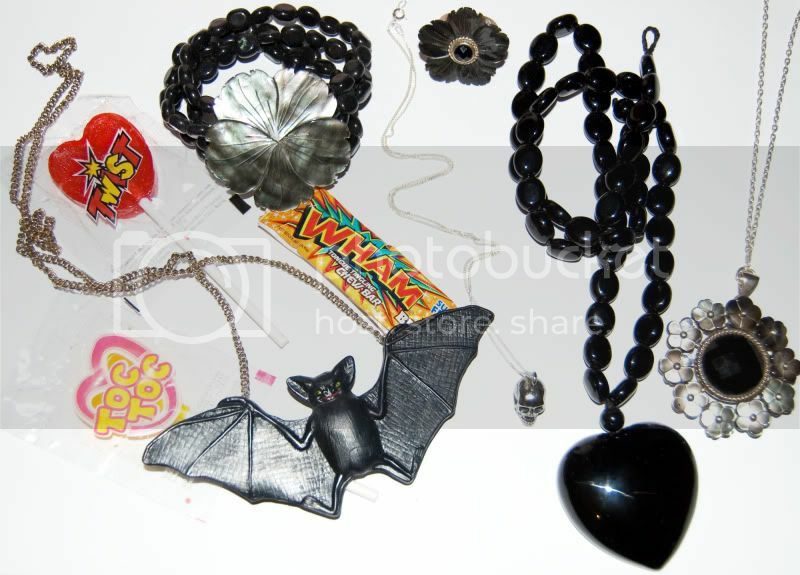 Jewellery: Self-made bat pendant, mother of pearl & onyx bracelet and flower ring by Lola Rose, black onyx vintage heart necklace, eBay skull pendant, vintage gothic pendant on silver chain. 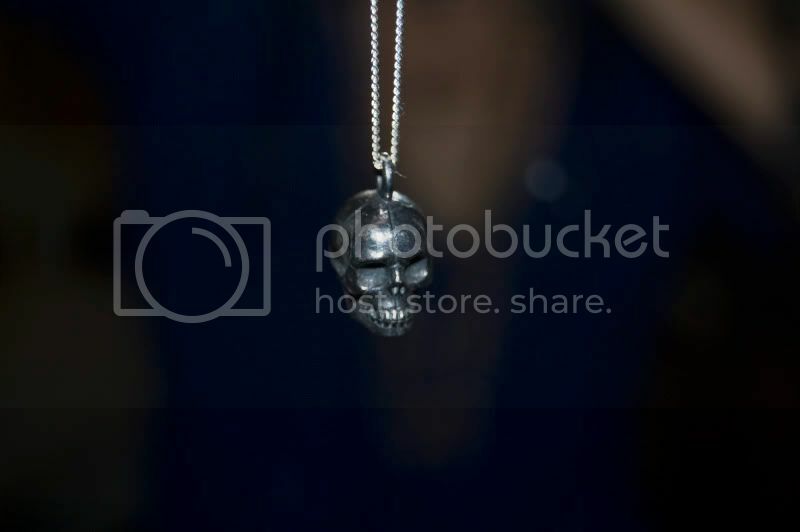 wow i love this collection of jewellery!